The Air Sofa is made of high quality 210D polyester. It can bear 330-660lb and its material is durable and intended for multiple uses. Sofa lounge seats are large enough for one adult and can be deflated and carried in a backpack. 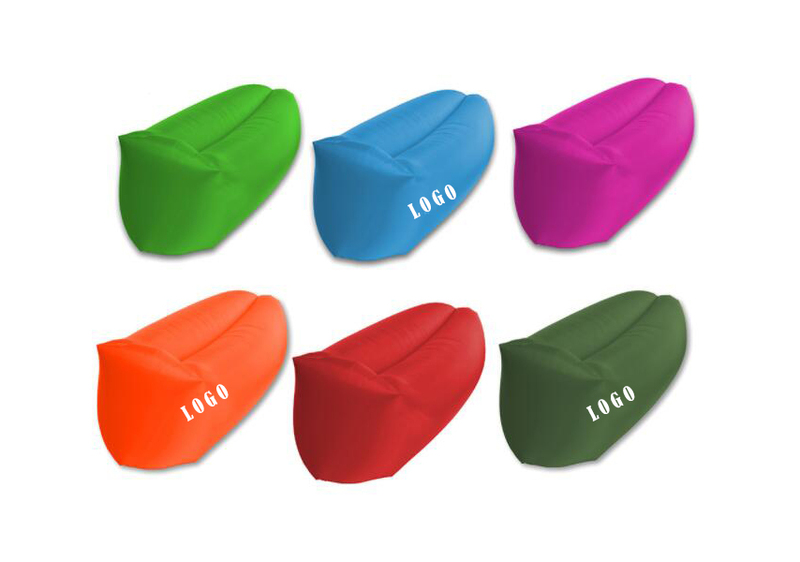 Customize with your company logo for stylish lounging on the beach, university or school campus and festival grounds. Price include one color one location imprint. 94 1/2" x 27 1/2"
Package: 1 pcs/poly bag, 20 pcs/ctn, 44 lbs/ctn.